Trends come and go in the technology industry but some things, such as IT system failures, bloom eternal. "Nothing has changed," said analyst Michael Krigsman of consulting firm Asuret, an expert on why IT projects go off the rails. "Not a damn thing." "These are hard problems," he added. "People mistakenly believe that IT failures are due to a technical problem or a software problem, and in fact it has its roots into the culture, how people work together, how they share knowledge, the politics of an organization. The worse the politics, the more likely the failure." Here's a look at some of this year's highest-profile IT disasters. Healthcare.gov: By now everyone knows about the health insurance shopping website's problems upon the Oct. 1 go-live, when many users couldn't access the system and only about 30 percent were actually able to sign up for health care. Following a frenzied effort to fix bugs in the system, U.S. officials said Healthcare.gov had been stabilized as of Dec. 1. But the work is not yet complete. 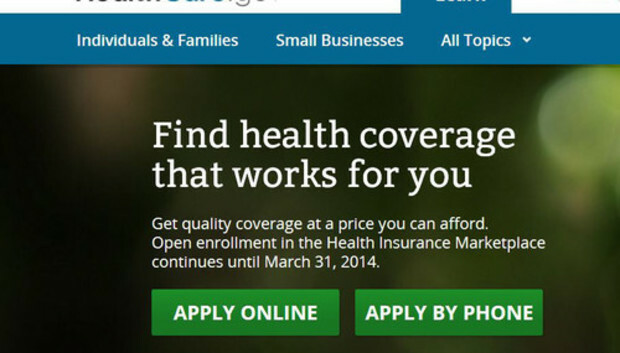 Last week, officials said 25 percent of applications sent from Healthcare.gov to private insurers contain errors that were caused by the website. Yet to come is a final fix, as well as a full accounting of why the Healthcare.gov launch stumbled. Krigsman is skeptical that fallout from Healthcare.gov will lead to any major reforms. But the controversy has had one effect, he added. "IT failures have really hit the mainstream media in a way they never did before." Queensland Health payroll system: The government of Queensland, Australia, announced in August that IBM would no longer be allowed to sign new consulting contracts with the state after its "bungle" of a payroll system project that reportedly could cost taxpayers up to AUS$1.2 billion (US$1.1 billion). "It appears that IBM took the state of Queensland for a ride," Queensland Premier Campbell Newman said at the time. Last week, Newman's administration began pursuing a lawsuit against IBM, according to published reports. It's not clear how that effort will play out, given that a 264-page analysis of the project commissioned by the government concluded earlier this year that due to past agreements, "there was no means by which the State may seek damages from IBM for breach of contract." For its part, IBM has maintained that the project's issues were out of its hands, and that the state failed to properly scope the project and define its requirements. MyCalPAYS: In February, the state of California terminated its contract with SAP in connection with a massive payroll project called MyCalPAYS. More than US$250 million has been spent on the project, which dates to 2005. SAP, which says it isn't to blame for the problems, came aboard after the state fired original contractor BearingPoint. Last month, California Comptroller John Chiang filed suit against SAP, seeking compensation. California has paid SAP $50 million for its work on the project, but it's not clear how much money the state will get back even if its lawsuit is successful. Marin County, California, sued SAP and Deloitte over a different ERP project. The case was settled but reportedly netted the county only $3.9 million, after it spent $5 million on legal fees and more than $30 million on the system, which will be replaced with a different product. Royal Bank of Scotland: Computer system woes continued this year for RBS, including an outage on Cyber Monday that left account holders unable to make payments or get cash. The Cyber Monday failure was "unacceptable," RBS CEO Ross McEwan said in a statement. RBS has failed to properly invest in its IT systems for decades, but a plan is under way now to change that with details coming next year, he added. Last year, RBS suffered an IT failure that led to delays in wage and tax credits being paid into customer accounts. Deloitte's unemployment system woes: Deloitte found itself under fire in California, Florida and Massachusetts this year over problems with unemployment compensation systems built by the consulting firm. The problems resulted in delayed payments to thousands of job seekers. Deloitte principal Mark Price told Massachusetts lawmakers during a public hearing in October that the state had "a successful, working system today," and only a "relatively small percentage" of jobless people had been affected. The problems stemmed from "very specific data issues" in the state's legacy system, he said. Price also said the reports of problems with Deloitte's projects in Florida and California were overblown.